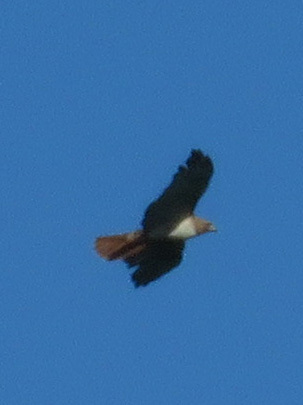 My objective with this blog is to have a record of the species I see, mostly on our East Texas farm, but also on our travels. This was the day I finally saw a White-eyed Vireo. Also, this damselfly that I have not yet identified. 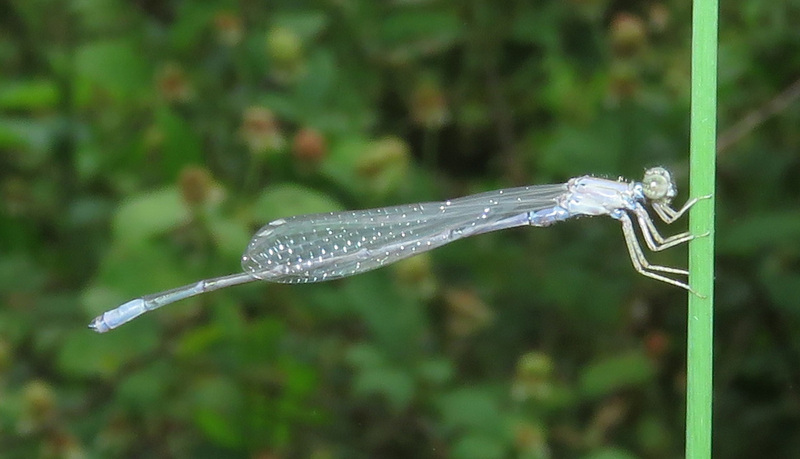 But if I got to name it, I would call it the Bridal Veil Damselfly. 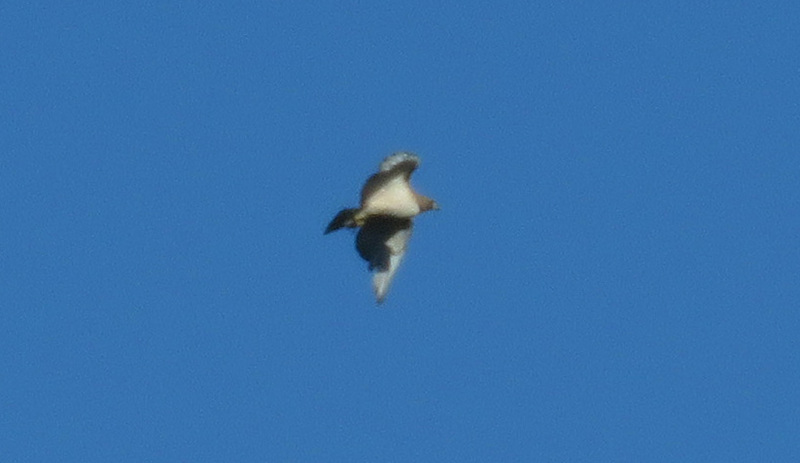 From this first shot, I might have thought I had a Swainson’s hawk, but the second shot clearly shows a red tail. Some sort of Lady Beetle. Tiny unknown moth from the previous picture. Sweet gum seed ball, with tiny moth in top right. The purple wildflower, Alophia drummondii, has several common names, including Pinewoods Lily, Purple Pleat-leaf, and Propeller Flower. Ruby-throated Hummingbird, at a feeder stuck to the window, allowing me a good look. Ruby-throated Hummingbird female in flight.